This refreshingly light, foaming cleanser is formulated to enrich the body and soul with fresh aromas while natural anti-oxidants gently slough away dry, damaged skin. Replenishes moisture while thoroughly cleansing for more supple, softer, healthier-looking skin. Let your senses come alive while you enjoy all ten delicious fragrances. Gentle enough for the most sensitive skin. Certified Organic Ingredients. Sulfate, Paraben, Gluten-Free. Alpha Hydroxy Acids. Carcinogen-Free. Great for the whole family. Won't strip skin's essential oils. Cruelty-Free. 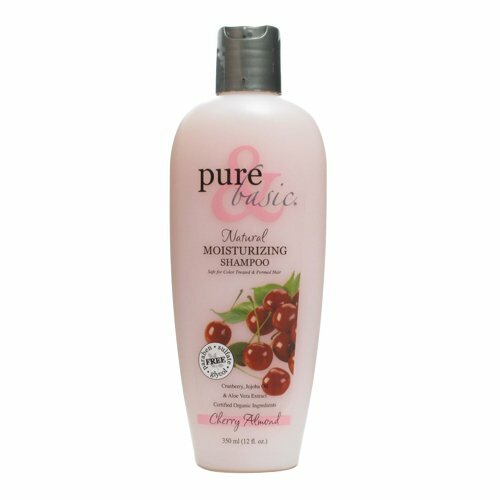 Warm notes of almonds and fresh cherries fortified with moisturizing botanicals calm your senses with this exotic scent. This refreshingly light, foaming cleanser is formulated to enrich the body and soul with fresh aromas while natural anti-oxidants gently slough away dry, damaged skin. Replenishes moisture while thoroughly cleansing for more supple, softer, healthier-looking skin. Let your senses come alive while you enjoy all ten delicious fragrances. Gentle enough for the most sensitive skin. Certified Organic Ingredients Sulfate, Paraben, Gluten-Free Alpha Hydroxy Acids Carcinogen-Free Great for the whole family WonÕt strip skinÕs essential oils Cruelty-Free Warm notes of almonds and fresh cherries fortified with moisturizing botanicals calm your senses with this exotic scent. Finally, natural shampoos and conditioners formulated with high-performing, pure and natural ingredients to give you stronger, healthier hair. Pure and Basic shampoos lather to a thick foam for easy cleansing from root to tip, creating a perfect palette for Pure and Basic's smooth, nutrient rich conditioners. All formulas deliver the powerful anti-oxidant properties of Green and White Tea extracts while certified organic botanicals replenish lost moisture and much needed nutrients. It's easy to find just the right duo for your hair with our cleansing and conditioning systems. Certified Organic Ingredients Safe on chemically-treated hair Gentle enough for your family Sulfate, Glycol, Paraben-Free Formulas for all hair types Cranberry, Jojoba Oil and Aloe Vera infused with Green Tea and Vitamin B3 moisturize and nurture over-stressed hair. An intense cleansing and conditioning treatment duo for dry, damaged hair. Leaves hair softer, healthier-looking, and free of frizz and fly-aways. Fresh cherry aroma with warm almond undertones. This refreshingly light, foaming cleanser is formulated to enrich the body and soul with fresh aromas while natural anti-oxidants gently slough away dry, damaged skin. Replenishes moisture while thoroughly cleansing for more supple, softer, healthier-looking skin. Let your senses come alive while you enjoy all ten delicious fragrances. Gentle enough for the most sensitive skin. 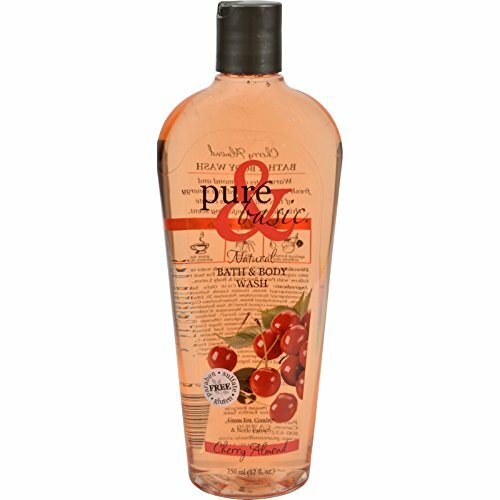 Certified Organic Ingredients Sulfate, Paraben, Gluten-Free Alpha Hydroxy Acids Carcinogen-Free Great for the whole family Won't strip skin's essential oils Cruelty-Free Warm notes of almonds and fresh cherries fortified with moisturizing botanicals calm your senses with this exotic scent. Sold Individually -This Product Is Designed And Made By Pure And Basic. With The Classic Look, The Right Color Combos And Materials, It Works Just As Well With Any Situation. Aromatherapy products help ease the Mind, Body, and Spirit. Each 11" stick burns for about 1 hour. All incense are made to order, so it takes a few days to soak the incense in 100% premium oils and let them dry before shipping. All of our aromas are custom blends so we can sell to you at a huge savings over retail type products. Choose from a wide variety of Basic, Designer Type, and Metaphysical Blend aromas. Evolve: Our Journey Began In The Mountains Of Colorado, Where The Air Is Thinner, The People Are Fewer, And Everything Feels A Little Simpler. It's Where Less Is More Isn't Just A Gimmick, Its A Way Of Living. It's From This Back-To Basics, Environmentally Conscious Mentality That the Evolve Brand Was Born. 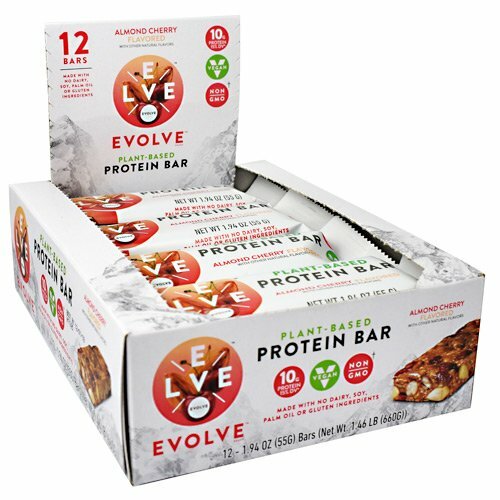 Here At CytoSport, Inc., Makers Of Muscle Milk Products, The Evolve Brand Was Built To Provide A Clean Protein Source To Fit Your Active, On-The-Go Lifestyle, And To Make Trying The Plant Life Simple. Made With: ,* No Dairy * No Soy * No Palm Oil* No Gluten Ingredients. * 10g Protein * 15% DV. * Vegan. * Non-GMO. * Plant Based Protein Bar. Looking for more Basic Cherry Almond similar ideas? Try to explore these searches: 100 Scale Plastic Kit, rg6 Ul Cable Assembly, and Cream White Chocolate. Look at latest related video about Basic Cherry Almond. Shopwizion.com is the smartest way for online shopping: compare prices of leading online shops for best deals around the web. Don't miss TOP Basic Cherry Almond deals, updated daily.